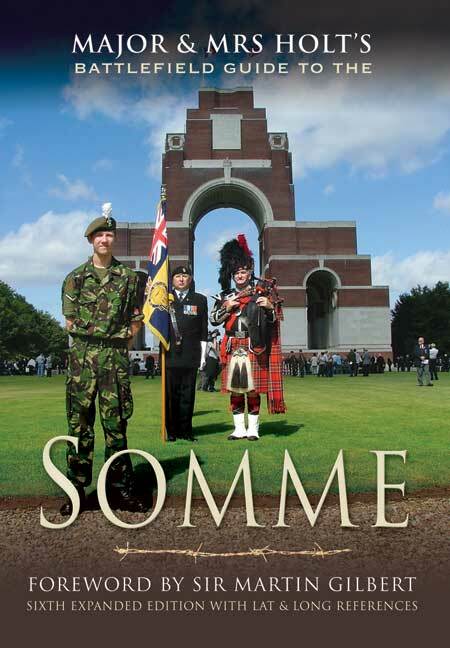 You'll be £4.99 closer to your next £10.00 credit when you purchase Major And Mrs Holt's Battlefield Guide To The Somme. What's this? Major and Mrs Holt's Battlefield Guide to the Somme is, without doubt, one of the bestselling guide books to the battlefields of the Somme. This latest up-dated edition, includes four recommended, timed itineraries representing one day's travelling. Every stop on route has an accompanying description and often a tale of heroic or tragic action. Memorials, private and official, sites of memorable conflict, the resting places of personalities of note are all drawn together with sympathetic and understanding commentary that gives the reader a sensitivity towards the events of 1916. This is an important book which will ensure the longevity of respectful understanding and knowledge of the battlefields. From the outset, the authors make clear that it is their aim to prompt more questions than they answer. They make clear their passion for the battlefields, and the maintenance of their existence as a place of pilgrimage, against the challenges of the modern world and prospective development. A superbly detailed review of the key WW1 sites in the Somme area, and a must-have for anyone wanting to make the most of a battlefield trip to the region. If you are only able to make a brief visit to the Great War historic battlefields of the Somme or Ypres then these inexpensive, easy to carry pocket guides are probably more than accurate for your purpose. An indispensable and companionable guide to the battlefields.